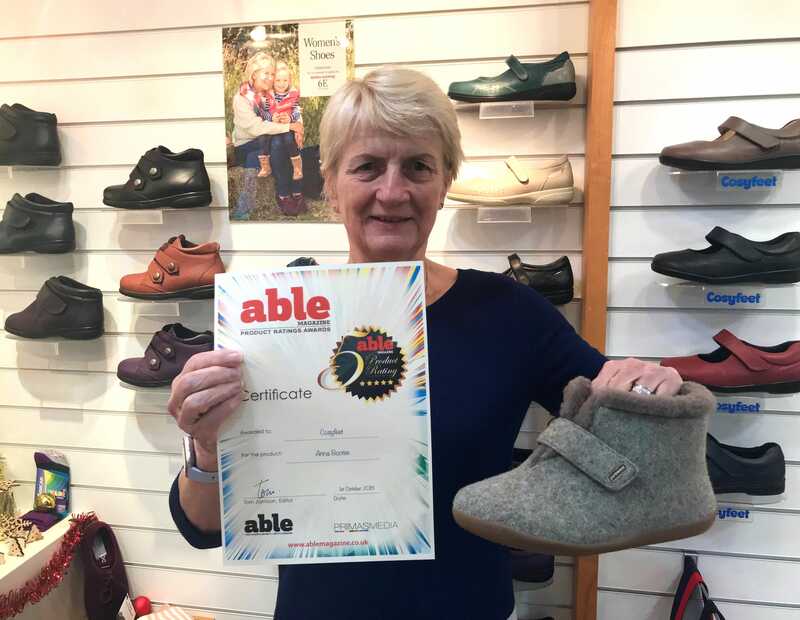 Jackie our Cosyfeet Financial Director shows off the five-star award granted to our Anna bootee by Able Magazine. Jackie our Cosyfeet Financial Director shows off the five-star award granted to our Anna bootee by Able Magazine. Thank you Able!